Lexington is a quaint village on the shores of Lake Huron in Southeast Michigan. Only 90 minutes or less from Metro Detroit, Lexington bed and breakfasts make a great destination for relaxing getaways and romantic retreats. Walk along the breakwall that defines Lexington Harbor and watch freighters on the horizon as pleasure boats and charter fishing boats come and go from the busy harbor. Ask the innkeeper at your Lexington Michigan bed and breakfast to put you in touch with a licensed charter boat captain who will take you out fishing or for a shoreline cruise. If a St. Clair River cruise is more to your liking, check out the Huron Lady II in Port Huron, which offers sightseeing cruises, dinner cruises, and private charters. Downtown Lexington is a vibrant community with interesting shops, delicious restaurants, and fun festivals. Attend Civil War reenactments in June, the Lexington Fine Arts Festival in August, Thumbfest, a folk music jam session, over Labor Day weekend, and the Bach Festival in mid-September. Be sure to ask Lexington bed and breakfast innkeepers about the Lexington Village Theatre, which attracts an amazing lineup of headliners and tribute bands. Bring the golf clubs when staying at a bed and breakfast in Lexington, Michigan. 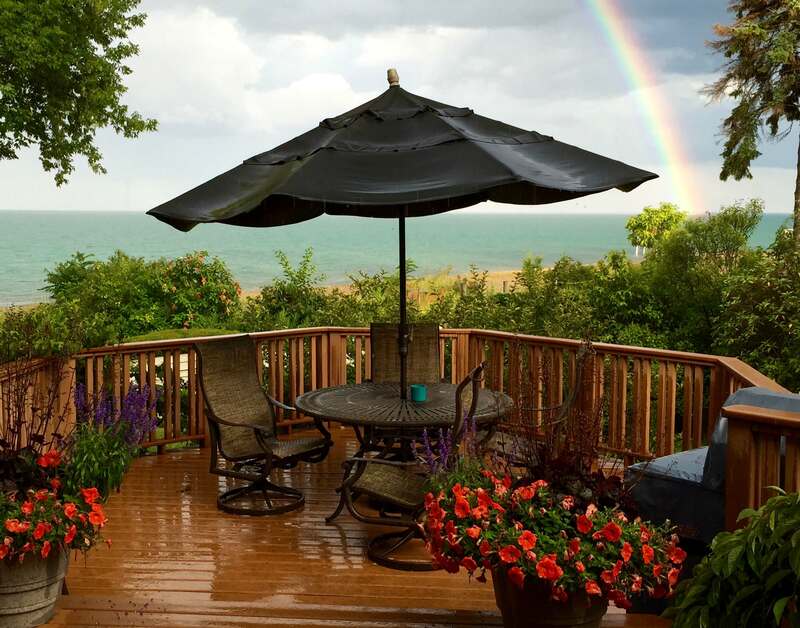 Lakeview Hills Golf Resort has spectacular views of Lake Huron from its two golf courses. In the winter, enjoy the same views while cross-country skiing. In the fall, enjoy colorful foliage while exploring country roads. Visit Blue Water Winery. Drive to farms with u-pick options and bring home a basket of fresh apples or vegetables. Or leave the car at your bed and breakfast and ride the four-mile bike path from Lexington to Croswell, home of the famous Swinging Bridge.